The Panel session was a question and answer session which was anchored by Joys Oyedepo, while Mrs Kemi Oyedepo (Visioneer of crisis proof your family and wife of the Resident Pastor of the Faith Tabernacle, Canaanland; Pastor David Oyedepo Jnr) and Mrs. Yemi (Former Teacher at Faith Academy Secondary School) answered questions raised by participants. 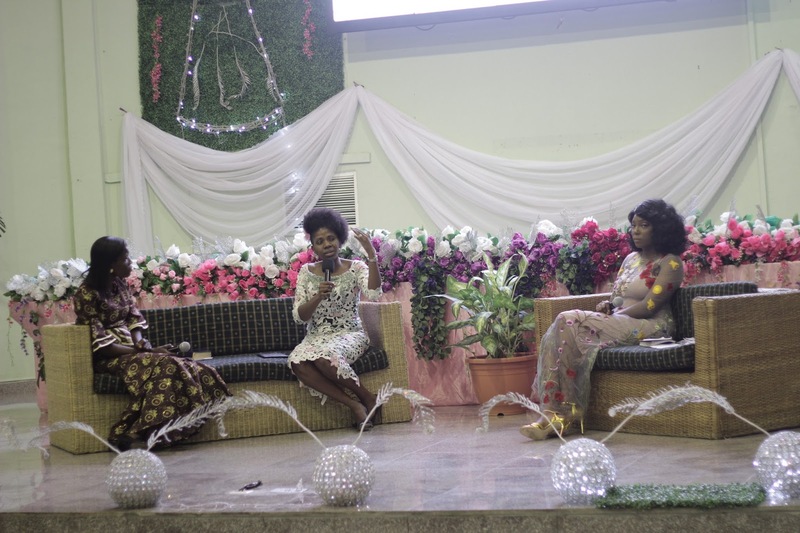 On the issue of marrying a younger man, Mrs. Kemi Oyedepo answered by saying that the most important thing to consider in such situation is if you feel you can be humble enough to submit to such a man and also his ability to lead. A participant raised a question on how one can build confidence. The panel answered by saying that confidence stemmed out of constant fellowship with God through His Word. “You get to know who you are and who lives within you. Over time you discover that the timidity is gone,” was part of the response given.